This summer’s Marvel antidote to the grim ending of Avengers: Infinity War was the fun and light Ant-Man and the Wasp. Dom Bettinelli, Trent Horn, and Andrew Hermiz discuss what makes this movie such a fun and exciting romp, but also why it might hold the key to the upcoming Avengers 4. Subscribe using the RSS feed | Subscribe using iTunes | Subscribe using Google Play | Subscribe using Stitcher. 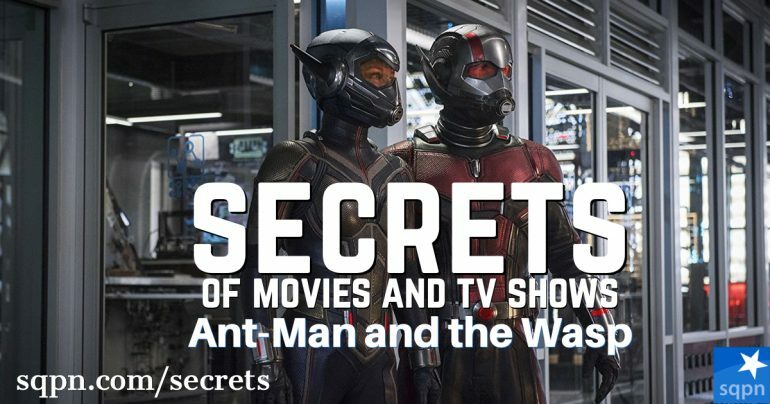 Help us continue to offer Secrets of Movies and TV Shows. Won’t you make a pledge at SQPN.com/give today? Leave us a review on iTunes! See the great work that Trent Horn and Andrew Hermiz do at Catholic Answers. Read more from Dom Bettinelli’s blog. New to podcasts? This is how you listen to them. CLICK HERE. Subscribe to ALL our podcasts with one click! If you like all our podcasts and don’t want to subscribe to each of them individually, click on the button below to get our all-in-one feed! MYS024: What on Earth Happened at Dyatlov Pass? MYS015: Was the JFK Assassination a Conspiracy? SQPN Inc. is a 501(c)(3) organization incorporated in the state of Georgia. More about us.